Grano Arso has quickly become one of our favorite restaurants and for good reason. Chef Joel Gargano is a scratch-made master. Not only are all his pastas homemade, he grinds his own grains. Even the butter is whipped up in the kitchen (served alongside that crazy delish bread!). 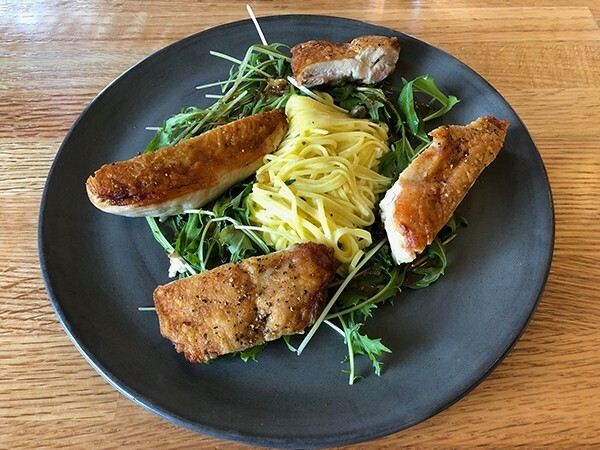 While Grano is famous for pasta, don’t pass on the pan-roasted chicken. My order arrived perfectly crispy on a pile of mizuna with lemony, buttery capellini on the side. Can’t think of a better lunch, and I managed to save half for dinner. 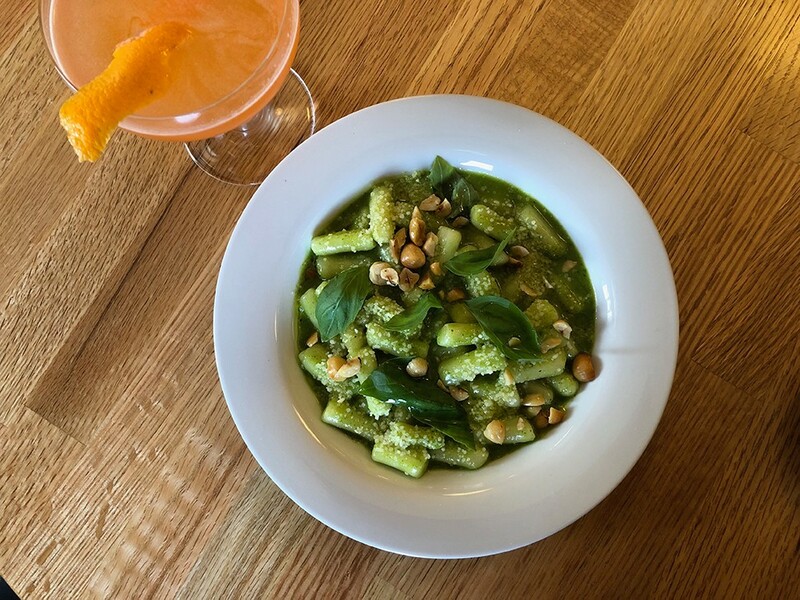 My husband adores gnocchi and the Genovese is a fresh spring version: light dumplings in a lemon-spiked basil pesto with a sprinkling of hazelnuts for crunch. Grano Arso is only open for lunch on Saturdays, so we suggest you make a day of it. Do a bit of spring shopping in our new store at 1 North Main Street in Chester, and present your receipt at Grano for a free glass of wine with your lovely lunch! Valid through April 2019 only. p.s. that cocktail? My current go-to: Fortune and Fame, a fresh blend of mezcal, apérol, yellow chartreuse, lime and agave.